Second-Hand Europe focuses attention on a part of Europe commonly referred to as Eastern Europe. After a brief moment in the limelight of the fall of the Berlin Wall and the enlargement of the European Union, the region has returned to invisibility. Is this invisibility due to an absence of notable events and accomplishments or to a blindness inherent in present methodologies and critical idioms? Despite discomfort with the designation “Eastern Europe,” few acknowledge that it originated in a now-obsolete geopolitical approach to the world. “Second-Hand Europe” attempts to provide a new way of thinking, congruent with developments in the region and the world at large, and apprehensible by newer methodologies. Abandoning the geostrategic perspective, the issue examines the modalities of integration of the region into global processes—political, economic, social, as well as cultural—in a multi-disciplinary collaboration with thinkers from across Europe and the U.S. The Ukrainian writer Yuri Andrukhovych addresses the difficulty of cultural work that must simultaneously be true to its place of origin yet understandable on a global scale. Aleš Erjavec describes how the artists of the region handle the politics of representation. Miglena Nikolchina takes up the divergent fates of humanism in 20th century Western and Eastern Europe. Ivaylo Ditchev provides a phenomenological description of the passage from a command to a market economy. Balázs Trencsényi discerns the lineaments of cultural wars with historical memory as their stake, and expresses apprehension about the rise of authoritarianism. Alexander Etkind sees a “magic historicism” at work in the political imaginary of post-imperial Russia. 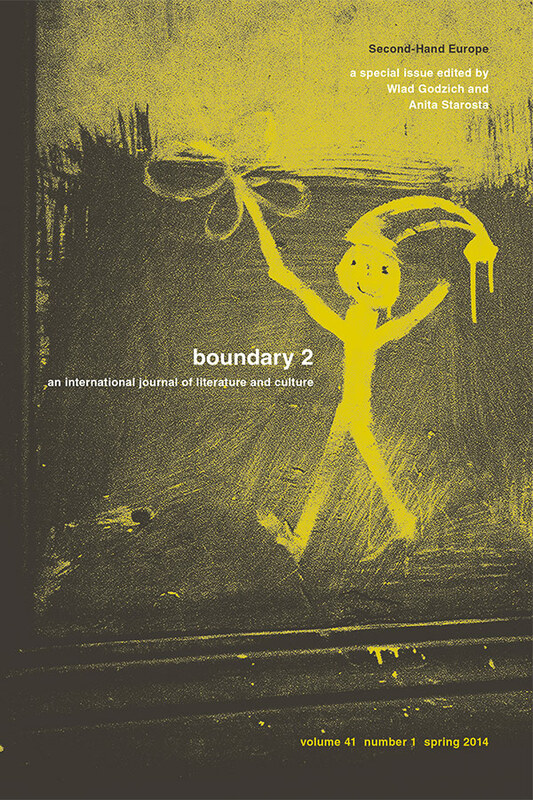 View the table of contents for boundary 2 issue 41:1 on the journal's online site.